Spring is (finally) in the air! Living in the Midwest, we have been pummeled (don’t you love that word? It’s just fun to say!) this winter with cold weather, snow and ice. I don’t know about you, but I will be a happy woman if I never hear the term “polar vortex” again! So when the temperatures finally began rising to freezing (yes, that’s right, I’m excited when the temps get even close to freezing now. Readings of 30 degrees with no windchill are signs of spring. The 40’s actually seem like a heat wave, am I right?! ), I start thinking about spring cleaning. Well, like seemingly most people this winter (if their Facebook statuses are any indication), we have had our share of illnesses in the past few months. I blame the cold (which makes your body work harder just trying to maintain body temperature, let alone trying to fight off illness), lack of vitamin D (since its hard for much sunlight to penetrate the sixteen layers of clothing we have to wear when the temps are 15 BELOW ZERO – I still have trouble fathoming that), and close quarters (there’s only so many indoor places to go in this cold, so we tend to congregate and breathe the same air and spread our germs in the same places). There was a good two months before and after our daughter was born that I began channelling my inner Howard Hughes and pretty much refused to leave the house. Because of these bouts of illnesses, I have been dying to open the windows and air out the house as well as give it a good scrub down to get rid of all the ick from the past few months. So when I saw this challenge, Four Weeks to a More Organized Home, over at Money Saving Mom, I knew it was just what I needed. It broke down cleaning and organizing steps into manageable pieces, spread out over 4 weeks. I just completed the final week of this challenge, which included cleaning out the vents, the medicine cabinet, the cabinets, the closet floors and the windows. Considering I don’t think I’ve ever fully cleaned the vents (by pulling them out and vacuuming inside) since we moved in seven years ago, this was definitely a needed project! I still have a few spring cleaning projects of my own to do this week, but I feel like I’ve really accomplished something these past four weeks by giving the entire house a much-needed deep cleaning, including those projects that I kept saying I would get to but just never seemed to have the time like cleaning under the beds. Plus we have taken three car-loads of items to Good Will and thrown away two garbage cans full of junk, so we are working toward de-cluttering as well! 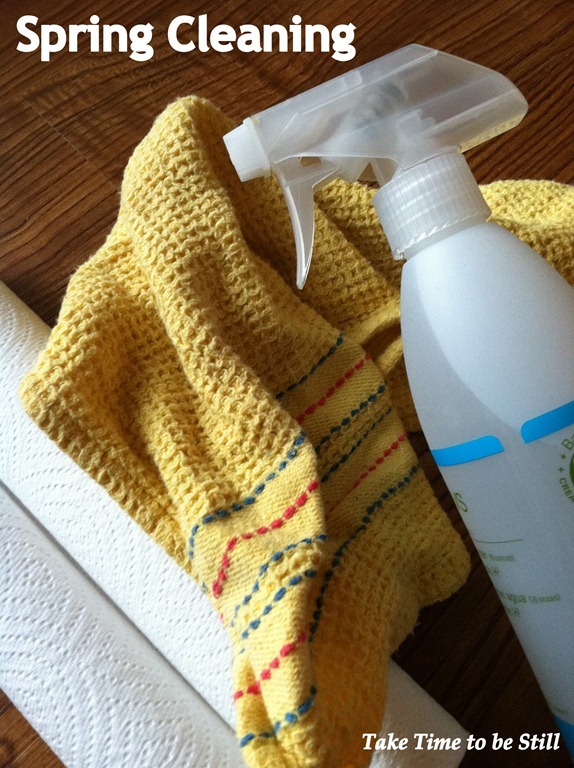 What spring cleaning projects do you plan to do?